Medical experts commonly use imaging including Computed Tomography (CT), Positron-Emission Tomography (PET) and Magnetic Resonance Imaging (MRI) for diagnosis or to plan a surgery. These scans give a highly detailed representation of the patient anatomy, but the usual Three-Dimensional (3D) separate visualisations on screens does not provide an convenient and performant understanding of the real anatomical complexity. 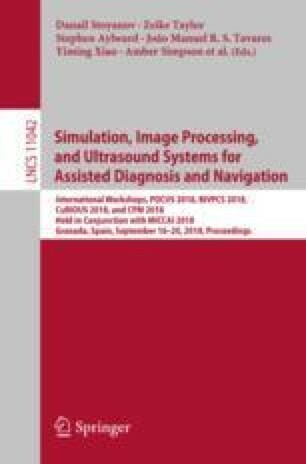 This paper presents a computer architecture allowing medical staff to visualise and interact in real-time holographic fused CT, PET, MRI of patients. A dedicated workstation with a wireless connection enables real-time General-Purpose Processing on Graphics Processing Units (GPGPU) ray casting computation through the mixed reality (MR) headset. The hologram can be manipulated with hand gestures and voice commands through the following interaction features: instantaneous visualisation and manipulation of 3D scans with a frame rate of 30 fps and a delay lower than 120 ms. These performances give a seamless interactive experience for the user .